That is one of many photos taken while the baby is still within the womb. Using a combination of three-dimensional ultrasound scans, computer graphics and tiny cameras, the team were able to show the entire process from conception to birth. 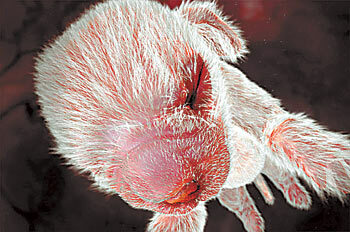 Dog in the womb: at 52 days a full coat of light cream hair is visible with whiskers forming. At 39 days, the eyelids are fused to protect from contamination. 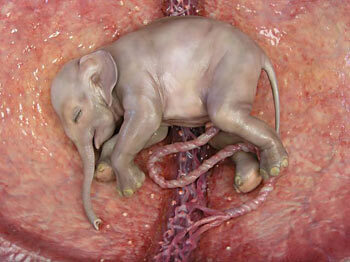 Tiny animal kingdom: the elephant foetus at 12 months, when it is 18 inches long and weighs approximately 26 lbs. It can use its trunk, and can curl it right up into its mouth and over its head. 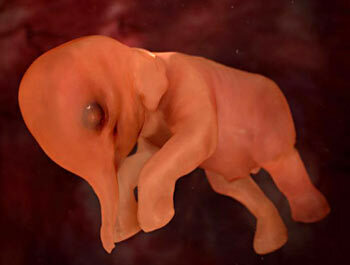 Inset, the foetus at 16 weeks, the trunk has developed and it is plumpish toward the rear. 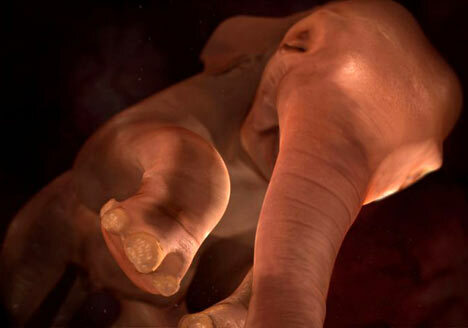 Never seen before: this remarkable image of an unborn elephant, taken approximately six months into the two-year gestation period, was captured using a combination of 3D ultrasound scans and tiny cameras inserted into the mother's womb. 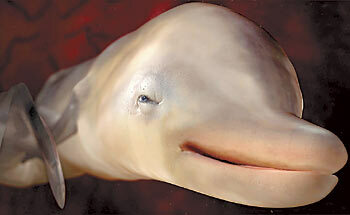 Flipping miracle: at 29 weeks the dolphin is moving its eyes and swimming around the womb. At six weeks it can curl its tail fin around its body. Go here for a couple more and the story.